Italy is a young nation in an old land. Through much of its post-Roman history, Italy was fragmented into numerous kingdoms and city-states long before it became a unified republic in 1861. The Italy of today consists of twenty different regions, each offering their own customs and gastronomic holiday traditions. Today, the whole world seemingly knows of biscotti. Pronounced in Italian as bee-SKOH-tee, it literally means twice baked  with the result of an absence of any moisture in the biscuit. Known for its resistance from spoiling, it was a staple for Roman Legionnaires; both Christopher Columbus and Marco Polo would take containers of biscotti with them on their long sea voyages. The modern day renaissance of biscotti began in Tuscany, where it is known as biscottini or cantucci, and made with almonds. Some Tuscans call these hard, crunchy cookies wine-dunkers, for they are often times served with wine and dipped into the beverage. 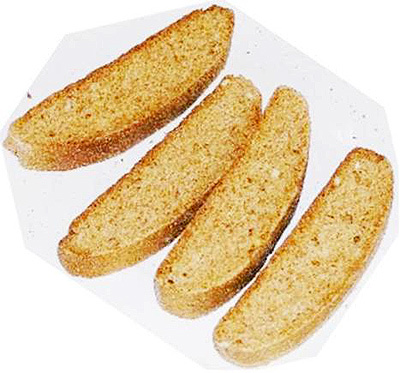 Like most Italian dishes, biscotti can vary from region to region. In Sicily, biscotti a rumba are diamond-shaped cookies and b. Regina (queens biscuits) are sesame seed biscuits. In the Boitano family household it would not be Christmas without my Italian immigrant grandmothers plate of biscotti which stemmed from her region of Liguria. There were countless other sweet delights on the table, but biscotti were everyones favorite. Heres her recipe that makes about 9 dozen. In a bowl, mix sugar with butter, anise seeds, vanilla or whiskey. Beat in eggs. Mix with flour and powder and stir into sugar mixture. Mix in walnuts. Cover and refrigerate for 2 to 3 hours. Remove from oven and let loaves cool on baking sheets until you can touch them, then cut into diagonal slices ½ to ¾ inch thick. Place slices close together, cut sides down, on baking sheets, and bake in 375 degree oven for 15 more minutes or until lightly toasted. Cool on wire racks and store in airtight containers. They can last forever; well, maybe at least a year. 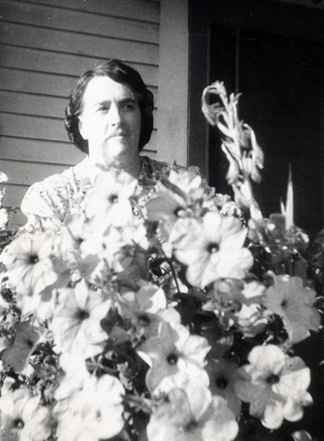 Once again, this article is dedicated to the memory of Adelina Boitano Bogny: June 26, 1902  January 11, 1997.